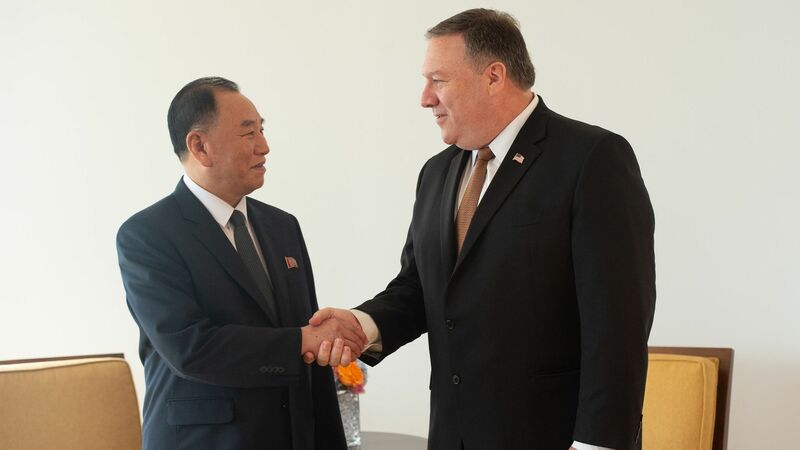 Speaking at a press conference following a meeting with North Korean Vice Chairman Kim Yong-chol in New York, Secretary of State Mike Pompeo expressed optimism about the planned summit between President Trump and North Korean leader Kim Jong-un. He added that the two sides have "made real progress in the last 72 hours towards setting the conditions" of the June 12 meeting. The big picture: Pompeo signaled that the United States' hopes for the meeting had not changed, saying that the end goal was "both denuclearization that the world demands, and security assurances [from North Korea that] would be required for us to achieve [denuclearization.]"